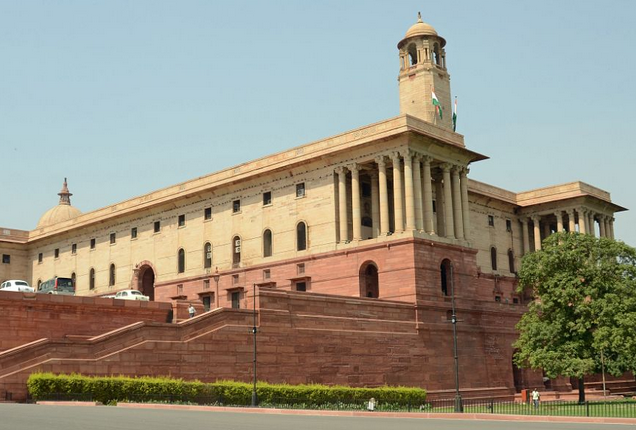 New Delhi: The Appointments Committee of the Cabinet Friday approved top bureaucratic appointments in Government of India most of them necessitated as several secretaries are retiring on superannuation. 1. Shaktikanta Das, IAS (T M1980), Secretary, D/o Revenue, M/o Finance as Secretary, D/o Economic Affairs. M/o Finance vice Rajiv Mehrishi, IAS (RJ21978) on his superannuation on 31.08.2015.
relinquishing the charge of the post. 3. Ms Anjuly Chib Duggal, IAS (PB:1981). Secretary, M/o Corporate Affairs as Secretary, D/o Financial Services, M/o Finance vice Hasrnukh Adhia, IAS (GJ:1981) on his relinquishing the charge of the post. IAS (JH:1978) consequent to his appointment as Chairperson, TRAI. on his superannuation on 31.07.2015. (RJ21980) on his relinquishing the charge of the post. vice Ms Gauri Kumar. IAS (GJ:1979) consequent on her superannuation on 31.08.2015. Ajit M Sharan, lAS (HY:1979) on his relinquishing the charge of the post. 13, Girish Shankar. IAS (BH31962). Additional Secretary, M/o Tourism as Secretary. vice Sunil Soni. IAS (MH:1981). Rajiv Takru, lAs (GJ:1979) on his superannuation on 30.09.2015.